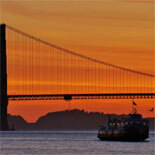 Welcome Aboard The RED and WHITE FLEET's California Sunset Cruise! Experience a Pacific Ocean sunset, as you sail along San Francisco's waterfront and view it's astonishing modern skyscrapers and historic landmarks. It's a 2-hour cruise you won't want to miss! Founded in 1892, the family-owned Red and White Fleet is legendary for its premiere San Francisco Cruises that offer a fun and spectacular San Francisco experience, like the California Sunset Cruise! As the sun begins to set over the Marin Headlands, enjoy petite sandwiches, antipasti, sourdough pizza, seasonal fruits and salads, cheeses, vegetables, freshly baked cookies and a complimentary beverage accompanied by Original San Francisco Sourdough French bread. 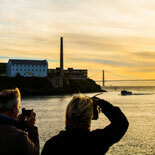 Cruise past Alcatraz, Angel Island, and the shorelines of Tiburon, Belvedere, and Sausalito, then watch the sun setting over the Pacific Ocean, as you sail west towards the Golden Gate Bridge. On your way back to Fisherman's Wharf, see many more famous sights, including the Presidio, the Marina District, and Fort Mason. 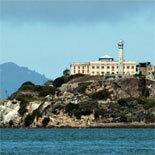 All along the way, view numerous National Historic landmarks and San Francisco sights, including Coit Tower, the Transamerica Pyramid, St. Peter and Paul's Church, and the San Francisco-Oakland Bay Bridge. 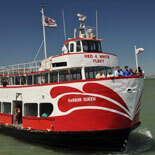 Make your Reservation and buy your eTicket today for The Red & White Fleet's California Sunset Cruise. All Aboard! Fun and adventure awaits. Unable to accommodate late arrivals. Please arrive 30 min before departure time to board. 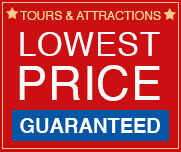 Reservations are required at least 48 hours in advance of desired tour departure. A full bar with drinks, snacks and merchandise is available aboard. Buffets do not include hot food. Guests serve themselves, and either enjoy their meal seated, or while strolling aboard the vessel. Arrive at least 30 minutes before the scheduled departure time. 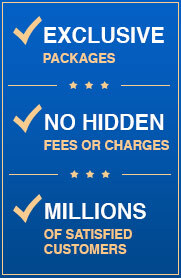 Reservations are recommended, but not necessary. Tickets are non-refundable. Dress in layers or bring a jacket. Smoking is not permitted on tours or while waiting in line.